Caatalyst are Profit Recovery experts. We audit our Clients’ historic vendor and tax payments to recover significant cash sums; often millions of Pounds, Dollars or Euros. Accounts Payable Audit and Contracts Audit made simple. 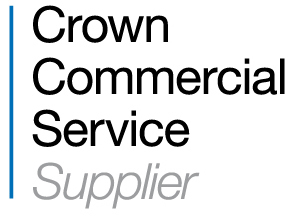 Caatalyst have recently been chosen as a supplier under the Government’s Crown Commercial Spend Analysis and Recovery Services (SARS II) Framework. We look forward to working with new public sector clients! To date we have successfully audited over £250bn of accounts payable spend for more than 50 Clients in over 30 countries. We have worked very successfully in both Public and Private sectors. Our Client testimonials speak for business relationships built on trust and great service levels. All of our fees are charged on a contingency percentage fee basis and are only due upon successful recovery of identified items. You can track claims and audit progress live on our Claims Portal. Rather than just a standard analysis of duplicate payments, our powerful vendor file management software profiles your vendors for a full and detailed vendor credit audit enabling dormant, suspense account and “retired” credits to be reclaimed for your business. Additionally, all kinds of duplicate payments and erroneous payments are analysed by our software, items that would be left behind by your systems or other audit firms. We leverage confirmed vendor relationships to find duplicate payments across your accounts payable transaction history. We build great working partnerships with our Clients, their finance team and vendors to make sure they get the most efficient and least disruptive profit recovery audit possible. Where possible we work offsite and your audit progress is visible 24/7 via our online Claims Portal. Our fee includes a suite of audit reports with root cause analysis, best practice recommendations and vendor analysis to help you get the most out of the accounts payable audit. Caatalyst are profit recovery experts and we normally exceed our competitor’s recoveries by at least 50% with our unique AP audit approach. Find Out how we Find More: Why Caatalyst? We have launched the improved Claims Portal. This will enable 24/7 visibility of recovery items for review by our Clients. In addition it provides an audit Dashboard giving live progress on the audit with analysis of claim origin. Caatalyst have continued their drive to become the UK's number one Public Sector audit firm with the start of projects for London Borough of Waltham Forest and Coventry City Council; early results are very encouraging. Caatalyst have been chosen as a supplier under the Government's Crown Commercial Spend Analysis and Recovery Services (SARS II) Framework. We look forward to working with new public sector clients!